To prepare for the challenge pre-pack all of the paper bags with the necessary supplies. Hang the tape on a wall and give one person from each group the job to collect it. Scissors come in handy but the challenge can be successful without them. While students are working on the challenge, be sure to record what they are doing – share these images on your teacher webspace. Once the challenge is completed and you have celebrated the group who had the tallest structure, celebrate other characteristics as well: shortest structure, most intriguing structure, most non-tower structure, etc. Students need to know that even if they had failure (they all will at some point) that the effort and the thinking on the problem are recognized and appreciated. In this challenge failure is ok – determine the best way to celebrate this in your classroom. Divide your students into groups no larger than 4. Fill each lunch sack with 15 pieces of spaghetti, 3 feet of string, and 1 marshmallow. Give each group 3 feet of masking tape. Put together a playlist of music that is 18 minutes long. 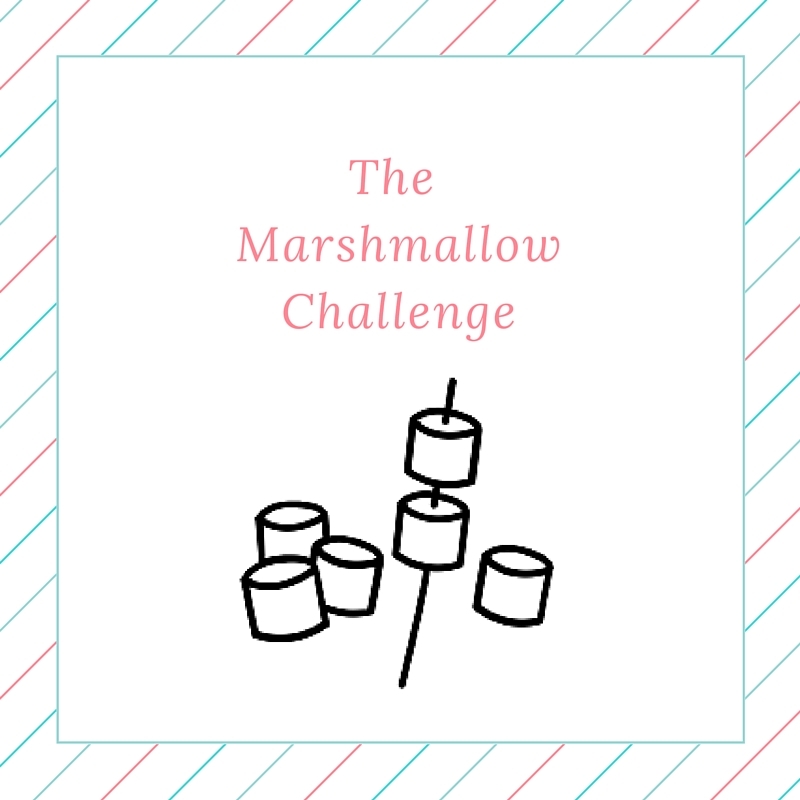 Have students build the tallest structure possible, that will support a marshmallow. One extra rule – the structure must start on the desktop or on the ground (no hanging from the ceiling). Given them minimal rules! Start the timer and the music and record what the students do. When the music ends, measure the creations and have the students debrief. What was hard about this? How did your group handle conflict? How did you pick an idea? What successes did your group have? Other questions that come up or should be discussed – you know your students – help them grow as a learning community.